There are a lot of sport utility vehicles available to consumers looking for a versatile, spacious and affordable SUV. Indeed, it is no longer necessary to pay much more than the cost of a car to ride in an SUV, and the 2018 Chevrolet Trax is proof. One of the most affordable SUVs on the market, the Chevrolet Trax is also one of the most fuel-efficient SUVs money can buy. With the 2018 Chevrolet Trax, we get a utility vehicle offering between 530 liters and 1,371 liters of cargo space depending on the configuration of the rear seats. There is no doubt that the Chevrolet Trax is a versatile and spacious vehicle. But what is especially interesting with the Trax, is that it offers all this space despite very compact dimensions. This is where the 2018 Chevrolet Trax is able to stand out from its competition, a competition that includes models such as the Nissan Rogue, the Mazda CX-5 and the Honda CR-V. These SUVs are more spacious, but they are also more expensive and more bulky. For those who have to travel to the city frequently, they are not ideal in terms of agility and parking maneuvers. It's the opposite with the Chevrolet Trax. The latter offers a very reasonable length and excellent visibility thanks to its generous glass surfaces. In addition, it is offered with an interesting level of equipment that includes a rear-view camera that is particularly useful in the city. If we opt for the 2018 Chevrolet Trax, it's because we want the space of an SUV without the inconvenience in the city that comes with a larger vehicle. In addition, it is also to enjoy a very reasonable fuel consumption rating. Indeed, the 2018 Chevrolet Trax is equipped with a 1.4-liter four-cylinder turbocharged engine that develops 138 horsepower and 148 lb-ft of torque. This engine can be paired with an automatic transmission or a six-speed manual. When you read these specifications, you get the impression that the Trax is more of a car than an SUV, and the fuel consumption it displays confirms this impression. Indeed, the Trax has a fuel consumption rating of less than 8.0 liters per 100 kilometers on average. In short, with the new Trax, you get a spacious and dynamic SUV that's just as easy to drive in the city as a car would be. This is its main advantage over its competition. 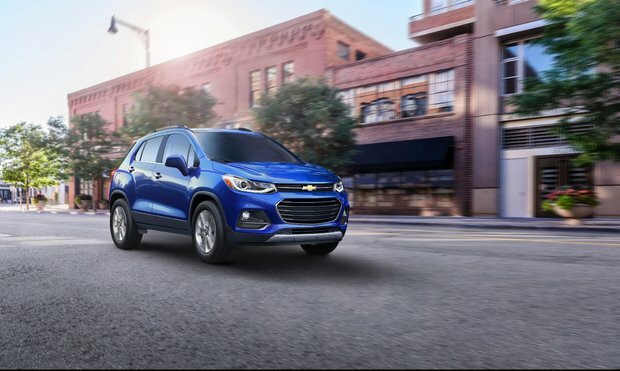 To learn more about the 2018 Chevrolet Trax, contact us today at Vickar Chevrolet!